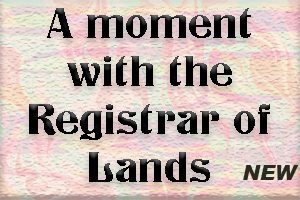 The Christmas issue of The Montserrat Reporter featured a story of national significances, following pronouncements by the Honourable Premier Reuben Meade. 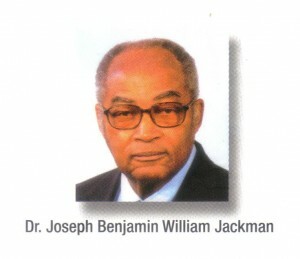 A few weeks later news reached us out of another British Overseas Territory, Cayman Islands where during National Heroes Day celebrations on Monday, 24 January, Dr. Joseph Benjamin William Jackman, among others received the Medal of Honour Commander award. The Cayman Islands Premier Hon. W. McKeeva Bush, speaking on that day, said: “Now is the time to celebrate who we are and where we came from, even as we anticipate the promise of days ahead… we are poised to take an objective look back, and a look forward to a brighter future for all in the Cayman Islands and indeed the whole world. 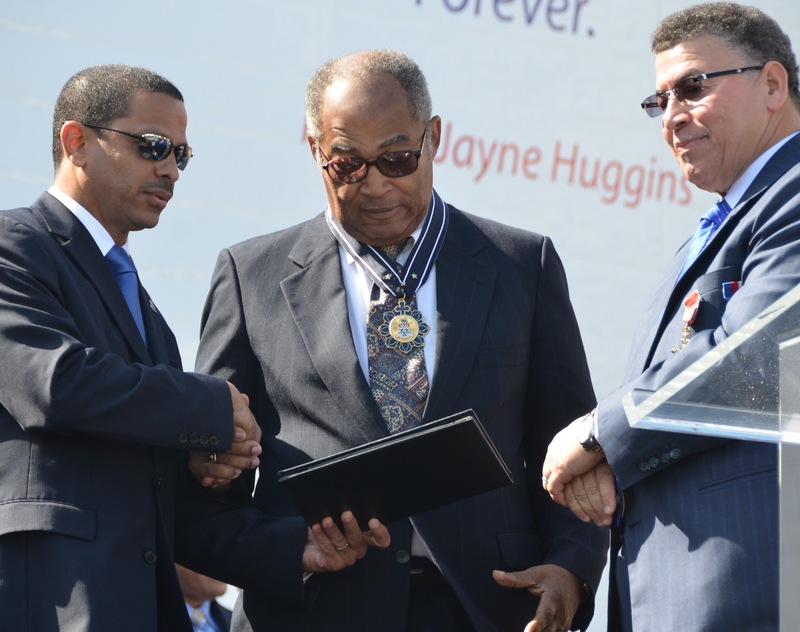 The Premier said he was speaking of those deserving national honours, whether it is being named as a National Hero or being inducted into the Order of the Cayman Islands, which is now in its second year of operation. The National Honours and Awards Law, 2010 gives due recognition to those among us who have provided distinguished service to the Cayman Islands community. “Bestowed in person or posthumously, these awards don’t interfere with, or supersede, any granted by Her Majesty the Queen, the Governor or the Cabinet,” the Premier noted. The National Honours and Awards Committee, which is set up in consultation with the Leader of the Opposition advises the premier on granting these awards based on public nominations in three categories. 3. the Long-Service award – for diligent service and exemplary conduct in 20 years or more of public service. The Premier in his speech was most complimentary of all the awardees: “Today our hearts brim with pride at the collective accomplishments of this eminent group of award recipients. They are some of the finest members of the community, dedicated to their work for the community, exemplifying sterling qualities that distinguish them among their peers and above all for showing a passion for making a difference in the community,” he said. Dr. Joe Jackman (as he is affectionately known in Montserrat) in the 1970s left his homeland and took up position in Cayman Islands. In February last year Minister of District Administration, Works, Lands and Agriculture, the Hon. 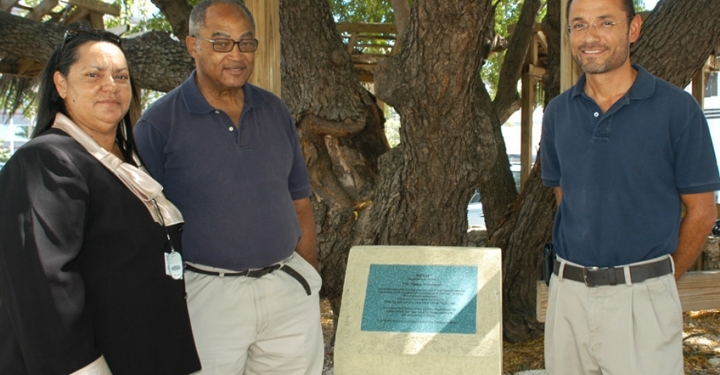 Juliana O’Connor-Connolly, JP recently (Tuesday 22 February) unveiled a commemorative plaque sited under a large neem tree near the George Town Library. 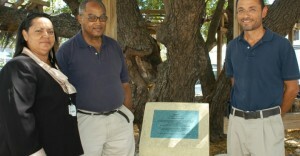 Dr. Jackman – who was also the Islands’ Chief Agricultural and Veterinary Officer between 1976 and 1982 – was on hand for the unveiling, as was Recreation Parks and Cemeteries Unit Director Jonathan Jackson. Wording on the plaque confirms that the neem tree is one of the world’s most beneficial plants. Native to India, Burma, Malaysia and other countries in that region, all parts of the tree are said to have medicinal use. It has been used in Indian medications for thousands of years. Minister O’Connor-Connolly said that Cayman needs to celebrate its agricultural history and should share the stories with residents and visitors alike.